Characterized by cables supported by Gothic brick columns, this bridge takes drivers across the Ohio River. In 1866, this bridge was the longest suspension bridge in the world. 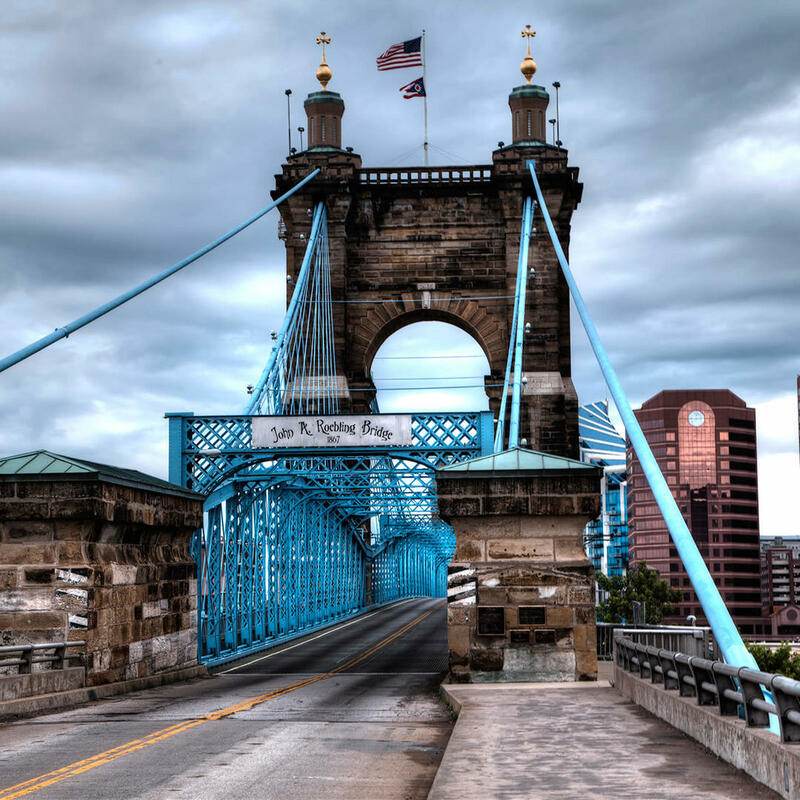 While other bridges may have surpassed its span-length its stately beauty is still a unique marvel and remains a landmark of Cincinnati.